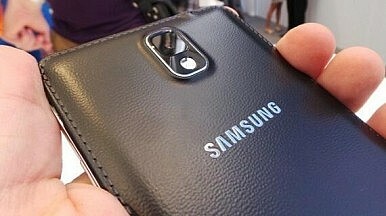 Leaked benchmarks put the unreleased phablet somewhere between the S4 and Note 3. You’ve probably heard and read this before, but Samsung’s Galaxy Note series has defined the term “phablet,” and continues to do so for good reasons. Unlike most phablets out there, the Note – whether it’s the original or the 2nd or 3rd iteration – offers more than just a large screen. It delivers more productivity tools thanks to a wide range of applications that have been perfectly paired up with the built-in S Pen stylus. On the other hand, the Note series always found itself in the top-tier range of smartphones, and the Note 3 is no different. The latest Samsung phablet came with a high price, as it offers the latest and most powerful hardware components. In other words, unless you’re prepared to spend big bucks on a Note 3, you’re not going to be able and enjoy all of these productivity tools developed by the Korean manufacturer. The good news however, is that the situation could change in the near future, as Samsung is apparently working on a more budget friendly version of the Note 3. This device has been previously leaked and rumored under the name of “Note 3 Lite.” However, the most recent leaks have revealed that the handset in question will actually be known as the “Note 3 Neo.” This makes sense considering the fact that a “Galaxy Grand Neo” is also expected to hit the market in the future. It might also mean that Samsung has a wider range of Neo-branded smartphones planned for a release throughout 2014. But before we get carried away, let’s refocus on the subject at hand, and discuss the latest rumors surrounding this Note 3 spin-off. About a week ago, GSM Arena shared a handful of leaked internal documents that have revealed the Note 3 Neo’s alleged hardware specifications. According to these documents, the Neo will feature a 5.55-inch AMOLED display with a resolution of 720 x 1280, 2 GB of RAM and 16 GB of internal storage (expandable by up to an additional 64 GB via microSD). In addition, the Note 3 Neo appears to be powered by a 3,100 mAh battery, it features an 8 MP main camera complemented by a 1.9 MP front-facing sensor. It comes with Android 4.3 Jelly Bean out of the box, covered by Samsung’s new “Magazine” user interface. The handset takes advantage of features such as Wi-Fi Direct, NFC, Bluetooth 4.0 and HSPA+, and it also comes with a built-in S Pen that is concealed by the faux leather back panel, à la Note 3. This means that the Neo will take full advantage of features such as Air View, Air Command and Air Gesture. Last but definitely not least, the device is rumored to be powered by a unique hexa-core processor. The unit consists in a quad-core CPU clocked at 1.3 GHz, and a dual-core chip running at frequencies of 1.7 GHz. Whether or not this is an Exynos processor remains to be seen. There’s was also the question of whether the two CPUs work simultaneously thanks to Samsung’s HMP solution, or if the unit uses the big.LITTLE architecture, where the two units would work “in turns” and never at the same time. Two days after the aforementioned documents got leaked, a new batch of photos and screenshots hit the blogosphere. As it turns out, judging by a screenshot captured in CPU-Z, all six cores of the mysterious Hexa-core processor appear to be working at the same time. The results are quite impressive, and based on another screenshot depicting the Neo 3 in AnTuTu, the handset in question scored 29,382 points. This makes the Neo more powerful than the Galaxy S4, but less powerful than the Note 3. As far as the handset’s design goes, the aforementioned leaked screenshots have been accompanied by photos showing off what appears to be the actual Note 3 Neo in. The handset looks almost identical to the fully-sized Note 3, with a handful of exceptions such as the overall dimensions and the main camera rim. Unfortunately, there’s not a lot of information regarding pricing and availability, but word has it that the Note 3 Neo could be officially unveiled in late February at the Mobile World Congress. The device is believed to hit the shelves at a price higher than the Note 2, but lower than the Note 3. This indicates a price range of roughly $500, unlocked, without a carrier agreement. That’s about it for now, but more details are bound to surface sooner rather than later. Until that happens, we invite you to share your thoughts on these rumors and on the Note 3 Neo, by leaving a comment below. Would you be interested in purchasing this device? More rumors swirl as the phablet’s expected launch date looms closer. Sony Xperia Z Ultra: Latest UpdatesGreen Shoots Sighted for Asia’s EconomiesAn Oil Discovery Before Systemic Reform in Pakistan Would Be a TragedyIn Myanmar, Jittery Investors Threaten Long-Term DevelopmentAsia’s Elections: Market Moving or More of the Same?